Demolition of existing buildings (with the exception of Trade Tower) and redevelopment for mixed use (A1-4, B1, D1/2 and flexible uses within these classes) and 127 affordable and market housing units contained within 4 new buildings (5, 6, 8 and 16 storeys) and including a 6 storey extension to the top of the Trade Tower for a net increase of 8 residential units. Back in 2009, the Planning Application Committee criticised the Plantation Wharf proposal for scale and proportion issues within the vicinity which led eventually to refusal. As it was just a matter of time for the Council to approve another tower, the proposal was back in 2012 (p.a. 2012/5470) and this time approved. It was just a matter of time for the developers to submit new applications for this area which has been generously granted the status of build-as-tall-as-you-can focal point by Wandsworth Council. 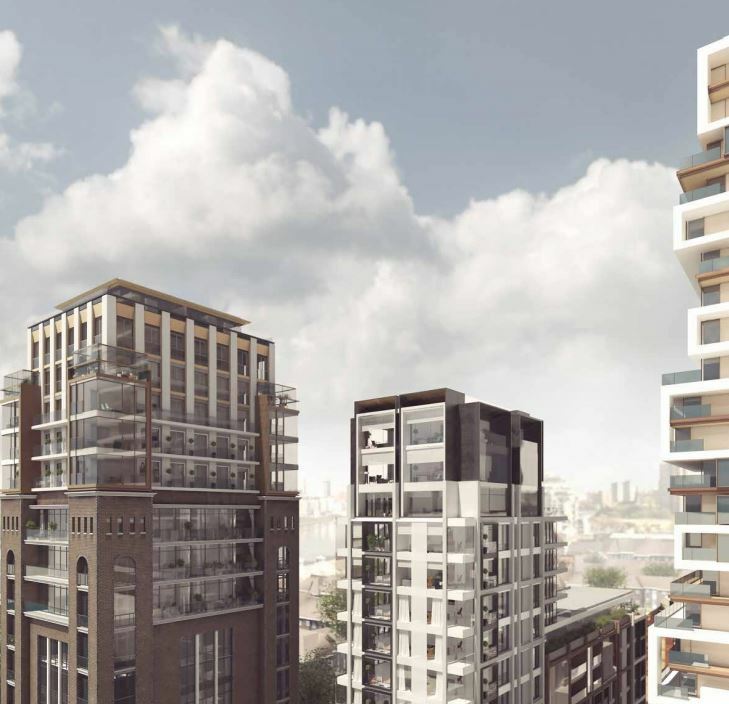 As developers told us in a meeting in January: Shoreditch tall developments is the trend to follow now in Wandsworth views. The 80 objections received so far (up to 11 January 2017) include the Wandsworth Society, the Battersea Society and Wandsworth Design Review Panel along with the local residents. 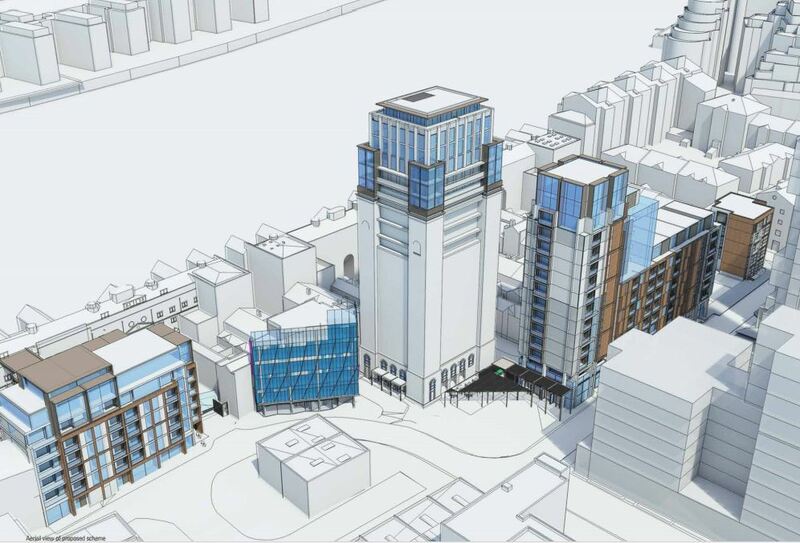 Overbearing presence of the tower in the centre of the scheme and both towers will overlook and overshadow the remaining parts of the Plantation Wharf development. Loss of public realm and open space..
Loss of 1,125sqm of commercial space (which emphasises the grave loss of commercial floor space in the Borough in recent years). No agreement on the required provision of affordable housing. The awkward relationship between the two towers. The reduction of building heights to a more human scale. The problems of overlooking and overshadowing of the remainder of Plantation Wharf. Improvements to the internal layout and the public realm. The loss of employment space. The full provision of the affordable housing of the type identified as most needed should be addressed. The Clapham Junction Action Group shares the views of the Society about the impact in term of transport to Clapham Junction. As we claimed more than a year ago, the Council approving all those new large proposals in the area, ignore the cumulative impact of development for an area already under pressure. Looks like the smaller tower will be in shadow for some hours on a sunny day…also looks as if residents will be looking into each others glass fronted flats. I imagine the former will think about suing the latter’s agents …as at Tate Modern with their viewing tower (or pyramid) …from which one has amusing views of many stacked glass fronted interiors with people living their lives…just like a doll’s house! They don’t like it!